Content marketing is the new black. For the last few years, it has popped up in marketing plans all over the business. Every brand has a content marketing plan, a blog, and an email campaign that supports both of these initiatives, or at least they should. So, when a sea of businesses is intentionally over-saturating the internet with content about their brand and products, how do you get your website or blog to perform well on search engine rankings? One answer: search engine optimization. SEO can be a complicated strategy, especially if you’re looking for more than just quick wins. SEO is a time-consuming, long-term project, and many times you won’t see the results of your effort right away. Starting SEO from scratch is a tricky process, but always worth the wait. Patience and perseverance are your greatest tools here. Keep that in mind as you start to develop your SEO strategy. First things first: know your starting place. This will keep you from wasting time on things you might already be succeeding at. Find out what you actually have on your site. We’re not talking about just a list of pages; but rather the metrics and data attached to each page. With this tactic, you can determine the difference between what’s working for you and what you need to work on. We have a couple of favorite tools for running a site audit. The first is SEMRush – this tool will not only let you know your site health, but can help you pin point exactly which pages, images, sections are experiencing SEO issues. You can make sure your site is crawl-able and secure, that you don’t have any 404 errors affecting your user experience, and more. It will also give you optimization ideas that aren’t necessarily affecting your site health, but may be affecting your visibility in the search results. SEMRush is also beta testing some pretty cool tools that help us see our search positioning, build backlinks, and other awesome SEO features. We also like to make sure we’re tracking clients on sites like Google Analytics and Google Search Console. Google Analytics allows us to utilize data-driven information to further develop our client’s SEO strategies. We can analyze traffic patterns, referral traffic (how people are finding us), what devices they’re using, and how they move through our site (and much, much more). For beginners, this can be overwhelming – but if you have a digital marketing agency they’ll be able to walk you through the process (and help you develop a strategy). We’re also big fans of the Yoast SEO plug-in for WordPress sites. They’ll let you know if your content is readable and optimized, and give you tips for making it better! 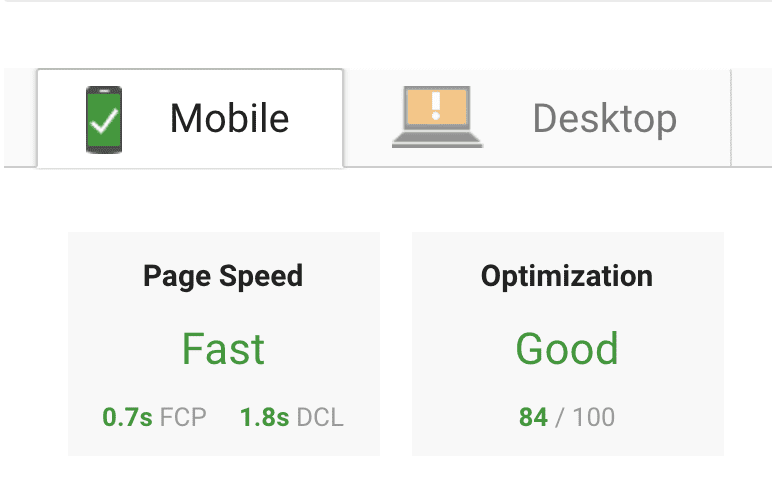 There are also a number of free tools you can use like Google Page Speed Insights, to test different parts of your website and see what needs improvement. In general, a thorough site-audit takes a lot of time, but will definitely help you figure out what areas to focus on. Knowing what competitors are doing is just as important as knowing your marketing plan inside and out. It’s a marketing fundamental you should never forget. SpyFu is a great (free) tool to use if you know who your competitors are – it helps you analyze their traffic and organic (and paid) search results to see what is working for them. If you don’t know who your competitors are – there are a few processes you can try out. If you’re an SEMRush user, there are tools within that program you can use to identify your Organic Search competitors (make sure to dig past the big hitters like Facebook). But, a free and simple tactic for those new to SEO? Simply google search the keywords you’re looking to rank for and see who is already ranking for them. We recommend opening up an incognito tab for the best, unbiased results. 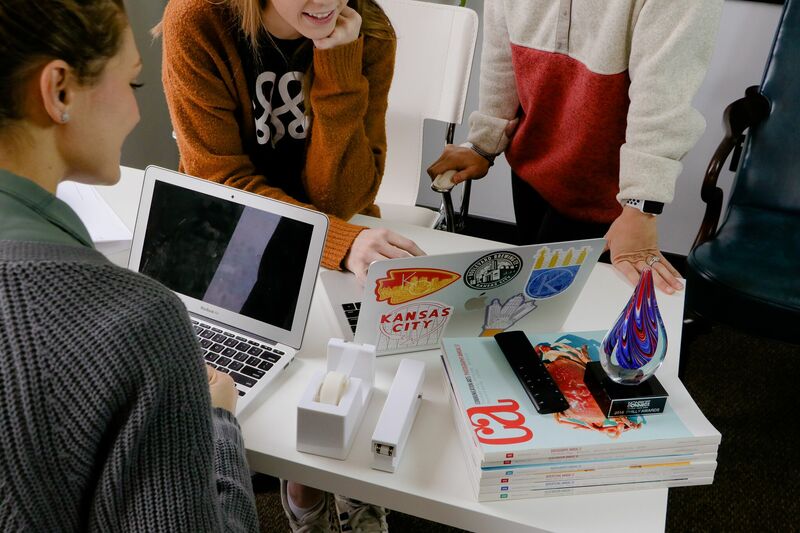 For instance, if we’re wanting to rank hire for “digital marketing agencies kc” – we’ll just plug that phrase into Google and see what pops up. After that, we’ll click on a few links and dig a little bit deeper into those sites to see what tactics they’re using (of course, plugging them into SpyFu to get a better idea). If something is working for them, analyze it to pieces. We mentioned this in our post about user experience and interface, but it bears repeating here. Developing a keyword strategy for the first time (or for a new client) can be a beast of an undertaking. A lot of times when starting out it’s easy to think that you already know what you want to rank for. In reality, a strong keyword strategy involves more than just brainstorming words you want to be associated with (although that’s a good place to start). We like to start with the brand as a whole, and divide the brand into different sub-brand sections. Depending on your type of business, this could be services you provide or the products you sell. Then, we develop individual keyword strategies based on those sub-brand sections. As an example, MAKE has an individual keyword strategy for “Web Development”, that also serves our overall Digital Marketing keyword strategy. So how do you start brainstorming keywords? The most popular tool is Google Keyword Planner. However, in order to utilize this tool you have to have ads running through Google Ads – not so useful for SEO beginners. So, we’ve developed some other brainstorming strategies for you. Get in the head of your customer. Develop a prospective client personality (or maybe a few) and try to figure out what they would search. After all, SEO is most effective when you think like the consumer – not like Google. Long-tail keywords are KING. People think in phrases, not short words, so it’s beneficial to rank for longer form keywords (they also have lower competition). Use Forums like Reddit and type in a short form keyword like “Digital Marketing” or “Web Development” to get your search going. You can then see what people are asking about that’s relevant to your search category. Wikipedia is another good source for this type of brainstorming. You can also use Google and scroll to the bottom of the search results and click on similar links. This will help you dive a little deeper into your keyword strategy. Uber Suggest: this tool takes all the Google Suggestions and puts them in one place. Focus on Commercial Intent: these keywords imply commercial action. Buy-Now Keywords – if these are applicable to your business, include them in long-form keyword phrases. After your initial brainstorming process, you can narrow your search by plugging your keywords into Google Keyword Planner’s Search Forecast (or even SEMRush) to see the competition and search volume of your keywords. You want to target phrases that are low competition and high volume to maximize visibility. Search engines like Google and Bing are constantly improving and changing the algorithms they use to vet and rank websites. Not every update is advertised, so sites tracking algorithm changes, which can be tracked with tools like Moz, are going to be crucial to keeping up with the latest updates. Search Engine Land is also a great resource for keeping up to date with SEO trends so that you can make sure your SEO strategy is relevant! These tips are only the beginning stages of planning and executing your SEO journey. Some stages will be harder than others, but in the long run, it’ll be more than worth it for the increased website traffic and all the perks that come with it. MAKE specializes in improving digital marketing by constantly pushing the boundaries of innovation. If starting the SEO process alone seems daunting, contact us to see how we can help your small business grow.